With the development of vehicle communication technologies, Vehicular Ad Hoc Networks (VANETs) through short distance communication technology achieve communication in Vehicle to Vehicular (V2V) and Vehicular to Infrastructure (V2I), which provides the basis for the implementation of application. However, the privacy and security of vehicle and message forwarding are vulnerably attacked by attacker due to the dynamic network topology. To address the problems, a Socially Aware Security Message Forwarding Mechanism (SASMF) based on trust assessment is proposed in this paper. Firstly, the pseudonym is used to protect the privacy of the vehicles, and the exchange entropy is as a measure to evaluate the exchange conditions of the pseudonym to avoid the continuous tracking of the vehicle by the attacker. Furthermore, according to the trust gradient, the message is forwarded in the form of multiple pieces of information to several relay vehicles and to the Application Provider (AP) through the Road Side Units (RSUs). 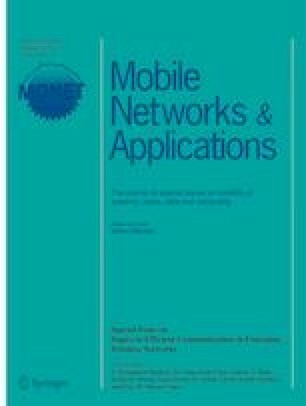 Results show that the proposed mechanism can effectively improve the success rate of message forwarding and reduce the risk of message leakage and better protect the privacy of VANETs. This work is partially supported by the National Natural Science Foundation of China (61771082, 61871062), Program for Innovation Team Building at Institutions of Higher Education in Chongqing (CXTDX201601020).